A basic concept of how it's going. 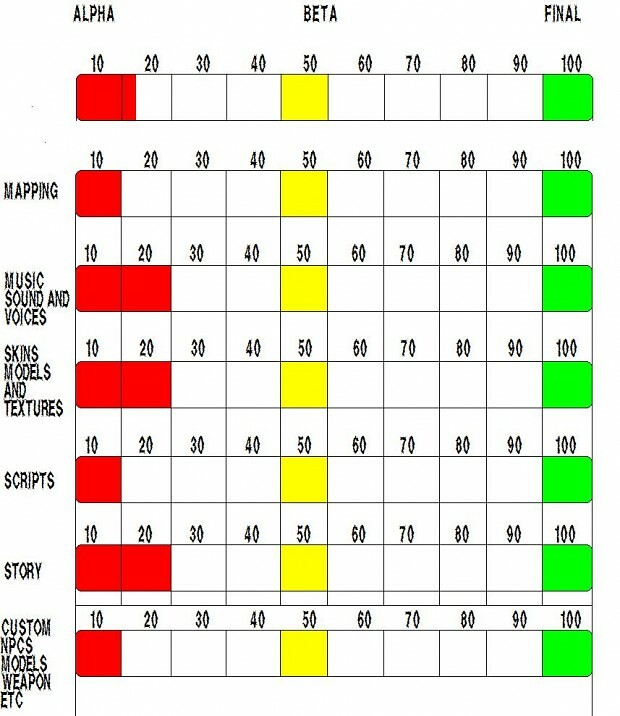 Mapping-the maps/levels. Music Sound and Voices-all the music that will be playing in game/cut scenes, the sounds for effects and replacements, and voices for characters. Skins Models and Textures-basic replacements and addons. Scripts- writing all the dialogue story etc. Story- the layout and plot of the mod. Custom NPCs Models Weapon Etc.- custom content to be added after BETA is ready to be final build.